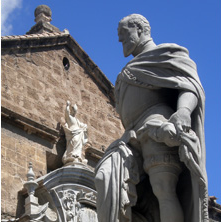 The University of Granada (UGR) was founded in 1531. As a classic university with around 65,000 students, 3,700 lecturers, 2,200 administrative and support staff, the UGR offers a wide range of courses at undergraduate and postgraduate level. Every year over 8,000 international graduate and postgraduate students choose the UGR to take full study programmes or via the approximately 800 network and bilateral exchange agreements in which the UGR is involved. The UGR is the leading European university in number of incoming and outgoing Erasmus students, and in 2007, received the Erasmus Gold Star Award in recognition of its contribution to the programme. Additionally, the UGR is a full member of numerous international networks and associations such as the Coimbra Group, UNIMED, EUA, IAU, EAIE, AUIP, AIEA, ORION or PEACE. The UGR is a comprehensive public higher education institution. The UGR is committed not only to quality and excellence in education, learning and research but also to activities targeting the transfer of scientific, technical and artistic knowledge to society, the betterment of society and a sustainable environment. As a modern university with a long-standing tradition, the UGR strives for improved and increasing outreach and the promotion of strong links with its local and regional context. Respect for the dignity of individuals, freedom of thought and expression, justice, equality, solidarity and eradication of discrimination are among the main values of the UGR. Due to its long-standing tradition, geographical location and high standards, both in teaching and research, the UGR regards internationalization as one of its strategic aims. 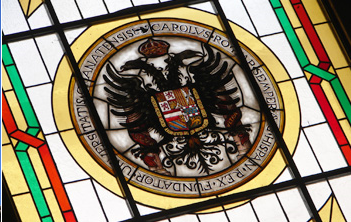 The main activities of the University of Granada are related to higher education, learning and research in a very broad sense. Its more than 100 departments carry out high quality research and teaching activities at all levels. Furthermore, central services for students, research equipment, continuing education, summer schools, language training, transfer of knowledge, work placements, etc. are available for all the members of its academic community. The UGR is involved in a vast number of national and international projects financed through different programmes such as the Seventh Framework Programme (FP7), the Lifelong Learning Programme (Erasmus, Comenius, …), Erasmus Mundus, Tempus, Alfa, etc.